The Grandstream GXP17xx is a series of business IP phones that you can use with your Telzio service. The GXP1780 and GXP1782 offer 8 lines, 4 user accounts, and 32 BLF keys. In this article, you’ll learn how to configure phones in the Grandstream GXP17xx series to use with Telzio. This guide pertains to all phones in the Grandstream GXP17xx series, including the GXP1760, GXP1780, and GXP1782. We recommend you to upgrade the firmware to make sure you have all the latest features. Upgrading the firmware is not required to configure your phone. Log into the phone’s web interface. Press the up arrow on the phone to display its IP address. If you don’t see the IP address, the phone likely does not have internet connectivity. Make sure the ethernet cable is connected to your router and the LAN port in the back of the phone. Type the IP address that you see on the phone into your web browser to find its interface. It’s important to make sure there are no spaces before or after ‘admin’ in order for the username and password to be valid. You’ll be prompted to change the password when you first log in. 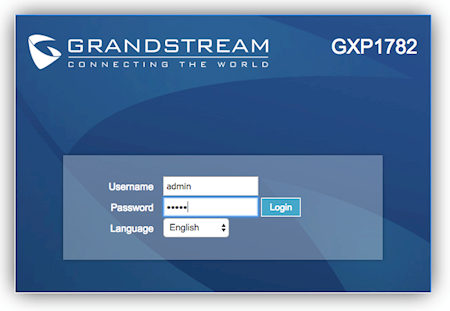 The Grandstream GXP1780 and GXP1782 models support up to 4 user accounts, which means you can configure up to 4 different users on your phone. When you first log into the phone’s interface, you’ll notice there are 4 accounts available for configuration. We’ll start by configuring one user for Account 1, and you can configure additional users on the phone by repeating the steps for Accounts 2 through 4. 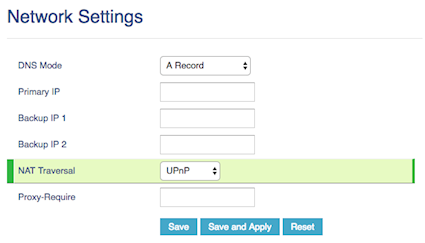 Navigate to Account – Account 1 – General Settings. Account Name Enter the name as you want it displayed on the phone. Name Enter the name as you want it displayed for caller ID. When you’re finished entering the information, click Save and Apply. Navigate to Accounts – Account 1 – Network Settings. Set NAT Traversal to UPnP. 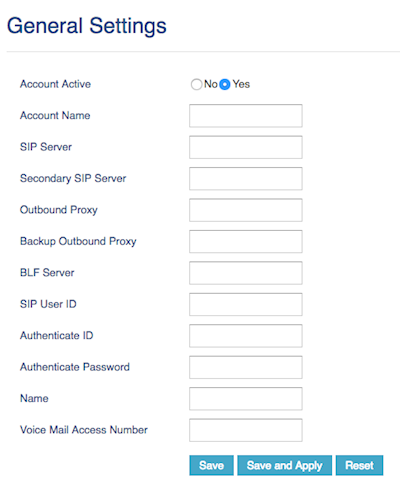 Navigate to Accounts – Account 1 – SIP Settings – Basic Settings. Set SUBSCRIBE for MWI to Yes. 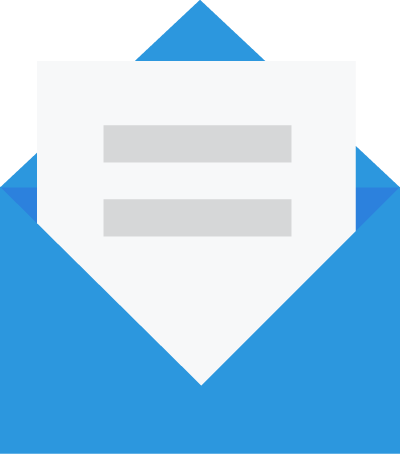 Navigate to Accounts – Account 1 – Call Settings. Set Allow Auto Answer by Call-Info to Yes. BLF keys enable you to see when other users in your organization are currently on a call. For example, you can set up to 32 BLF keys on the Grandstream GXP1780 and GXP1782, which means you can view presence for up to 32 other users in your organization. Navigate to Settings – Programmable Keys – Virtual Multi-Purpose Keys. Rows 1 through 4 have Mode set to LINE by default because the GXP1782 supports up to 4 user accounts. If you have 4 different users configured on your phone, you can switch between user lines by hitting the 4 keys along the left side of the LCD. If you have one user configured on the phone, you can set each of the 4 keys to the one user, or set them as BLF keys. Rows 5 through 8 also have a default Mode. Since row 5, or key 5, is set as Information, which can also be accessed by pressing the up arrow, we’ll start by configuring this key as a BLF, and you can repeat the steps to configure additional keys. If you configure more than 8 keys, additional pages will be created on the display and you’ll see a Next button enabling you to scroll through the pages. Set the Mode to Busy Lamp Field (BLF). Next to Description, enter the name of the user as you want it displayed on your phone. Next to Value, enter the Username of the user. 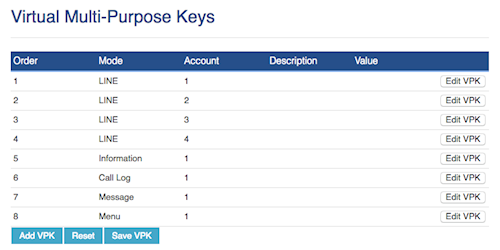 When you’re finished configuring the keys, click Save VPK. Navigate to Maintenance – Upgrade and Provisioning. Set Firmware Upgrade and Provisioning to Always Check for New Firmware. To learn more about the phones in Grandstream GXP17xx series, visit the full user guide.